Beach BOOSTER Radio Podcasts - BEACH CORNER with Dianna Chycki - Feb 27.18 - Tatiana and Olga Poliektova. BEACH CORNER with Dianna Chycki - Feb 27.18 - Tatiana and Olga Poliektova. Description: Dianna welcomes back to Beach Corner via Skype from St. Petersburg, Russia, award-winning short animation filmmakers, Tatiana and Olga Poliektova. This twin sister team have produced several short animation films over the years which took part in over 100 worldwide film festivals and have garnered more than fifty awards. Their winning short animated film “My Grandfather was on a Cherry Tree” keeps capturing many accolades including the recent “Golden Olive Award’ for Best International Film at the NDU International Film Festival in Lebanon. This short film was also entered at our 5th Annual Wasaga Film Festival where they won the International Platinum Award. At the end of the year, Tatiana and Olga released a teaser for a new upcoming project titled: “The Swimmer”. Find out more about this project along with their sisterhood teamwork. Dianna welcomes back to Beach Corner via Skype from St. Petersburg, Russia, award-winning short animation filmmakers, Tatiana and Olga Poliektova. 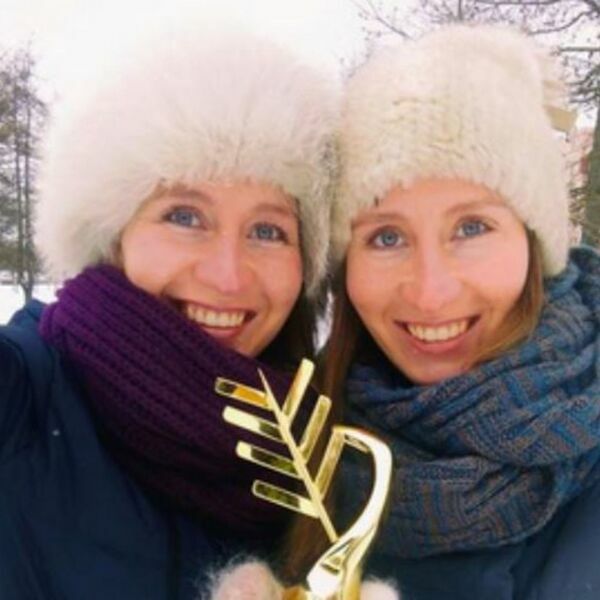 This twin sister team have produced several short animation films over the years which took part in over 100 worldwide film festivals and have garnered more than fifty awards. Their winning short animated film “My Grandfather was on a Cherry Tree” keeps capturing many accolades including the recent “Golden Olive Award’ for Best International Film at the NDU International Film Festival in Lebanon. This short film was also entered at our 5th Annual Wasaga Film Festival where they won the International Platinum Award. At the end of the year, Tatiana and Olga released a teaser for a new upcoming project titled: “The Swimmer”. Find out more about this project along with their sisterhood teamwork.